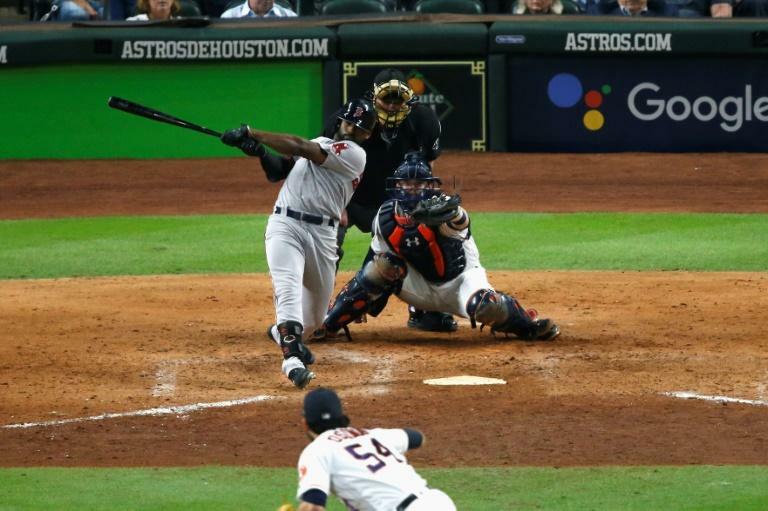 Jackie Bradley Jr.'s eighth-inning grand slam sealed the Boston Red Sox' 8-2 triumph over the reigning World Series champion Astros in Houston on Tuesday. The Red Sox seized a 2-1 lead in the best-of-seven American League Championship Series, with the winner of the series to take on either the Los Angeles Dodgers or Milwauke Brewers in the World Series. The Dodgers and Brewers faced off later in Los Angeles, where the hosts were out to level their National League series at 2-2. The Red Sox put the game in Houston out of reach with five runs in the top of the eighth inning -- four of them on Bradley's grand slam to right field off a pitch from reliever Roberto Osuna. Two innings earlier, Boston's Steve Pearce belted a solo homer down the left field line against right-handed reliever Joe Smith to give Boston a 3-2 lead in what was a close game until Osuna's meltdown in the eighth. Osuna hit two batters -- one with the bases loaded to force in a run -- and allowed three hits in the frame and departed to boos from the home crowd. The Red Sox had seized the initiative in the first inning, scoring two runs on a double from J.D. Martinez and a ground out by Xander Bogaerts against Houston starting pitcher Dallas Keuchel. The Astros pulled a run back in the bottom of the first on Marwin Gonzalez's run-scoring single against Red Sox starter Nathan Eovaldi. Eovaldi gave up another run in the fifth inning, when a double by Alex Bregman scored Jose Altuve. Houston host game four on Wednesday.